From Freeman’s Sporting Club comes the “Freeman Suit”, their take on the definitive American suit, perfect for both casual and formal occasions. The jacket is fully canvassed, with high armholes for easy movement and comfort. This is a modern fit, well tailored without being too narrow. The trousers have a plain front and a zipper closure. Made in the USA, you can pick one up here, in a variety of fabric options. 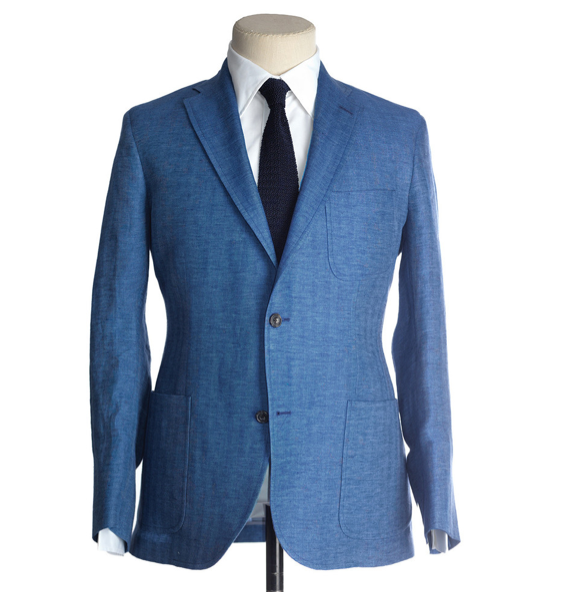 This entry was posted in Suits and tagged American, Blue, Freeman Sporting Club, Freeman Suit, Freemans Sporting Club, Fully Canvased, jacket, Made in USA, New York, Suit, USA. Bookmark the permalink.